There are many benefits of vitamin B3 that has been discovered through the years. Vitamin B3 and its many forms: niacin, niacinamide and inositol hexaniacinate has been used for many years now as a therapeutic vitamin to relieve quite a number of conditions. What is vitamin B3 or niacin all about anyway? Obviously, vitamin B3 is one of the water-soluble B vitamins. It is needed by the body to perform various physiological and enzymatic functions. The body is actually able to synthesize this vitamin (natural niacin form) from the amino acid tryptophan. Vitamin B3 or niacin is very important in maintaining healthy skin and proper blood circulation. It also has significant effects in maintaining normal nerve and brain functions, enhancing memory, as well as in the proper digestion and absorption of carbohydrates, fats and proteins. The most renowned of all the benefits of vitamin B3 is its significant effect in lowering and controlling cholesterol levels. In fact, there are now a good number of people who use niacin to lower cholesterol . The other benefits of niacin ranges from its relieving effect on schizophrenia to its soothing effect on arthritis, and almost everything else in between. Today, vitamin B3 deficiency is rather uncommon because it is present in many natural food sources. Foods containing vitamin B3 include protein sources such as red meat, fish, nuts and poultry. Other foods rich in vitamin B3 are pasta and potatoes, as well as tryptophan sources such as eggs and dairy foods are also recommended sources of niacin. As always, one of the main concerns in taking any supplement is the possible side effect that it may bring. Vitamin B-3 generally causes your capillaries to dilate such that all those who take increased dosage can experience what is called the niacin flush. At certain dosage levels, this dilation can lead to redness, to even heat and itching. This flushing usually passes after about half an hour. 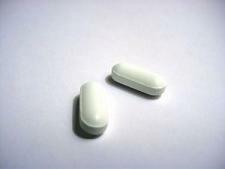 Generally, niacin supplements are safe to take at moderate dosages. Serious side effects only occur with intake of megadoses of the supplement. Getting too much niacin can lead to many complications. "Too much" in this case means taking more than 10 grams per day. Serious side effects can include nausea, vomiting, abdominal cramps, lightheadedness, and ulcers. Of course, these symptoms go side by side with skin rashes, flushing and/or itching. There have been no reports of vitamin b3 toxicity in the sense that there has been no one who has reportedly died from niacin overdose. However, liver damage can be likely with long-term use of niacin supplements. In general, niacin supplements in the form of inositol hexanicotinate and niacinamide have been seen to cause fewer side effects than that of regular nicotinic acid form. The benefits of vitamin B3 are countless. This explains its popularity as a therapeutic vitamin to treat a variety of conditions. However, as always, it is best to consult your doctor as to the proper dosage and administration of the supplement.